No more squeezes! No more squirts!! 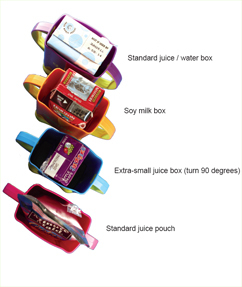 The universal drink box holder -- designed to fit individual drink boxes and pouches, including soymilk and extra-small juice boxes! 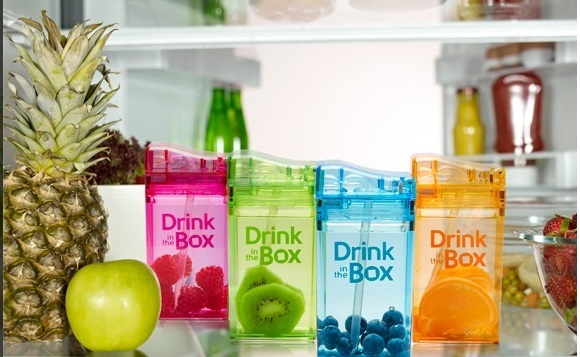 Free of BPA, phthalates, and lead. 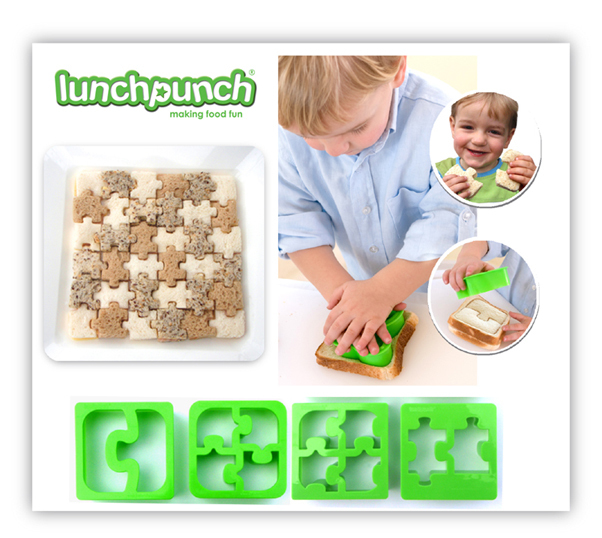 Dishwasher-safe with comfortable handles for little fingers and stable bottom "feet". Proudly made in the USA!! 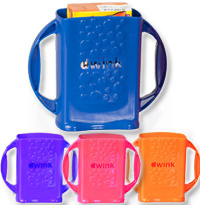 Comes in 4 fun colors.